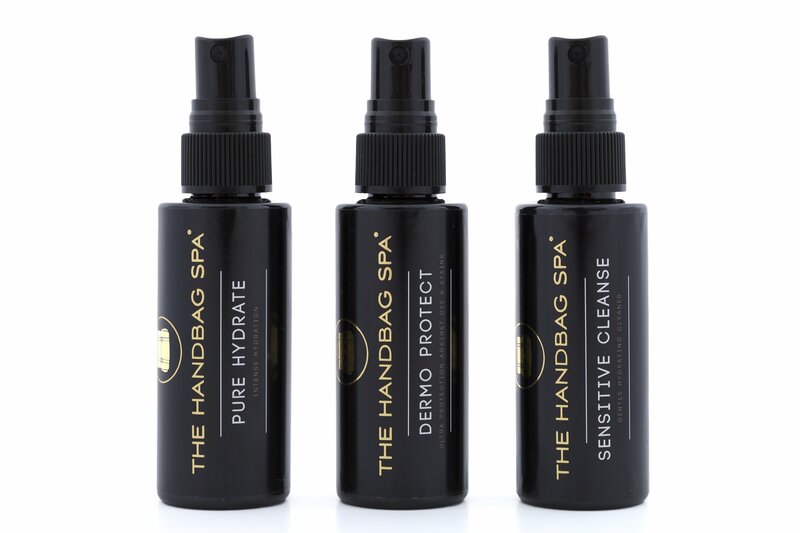 The Handbag Spa Revive & Moisturise Kit has been put together for handbags that need cleaning and nourishment. Both products have hydration factors to bring back tired dry leather. This kit includes x1 bottle of Sensitive Cleanse 60ml and x1 bottle of Pure Hydrate 60ml. Both products are water based and non-solvent so are friendly to use on delicate handbag leathers. This product comes with full how to use instructions. The Handbag Spa Pure Hydrate is a deep hydration crème for finished and unfinished leather bags, restoring the natural softness. 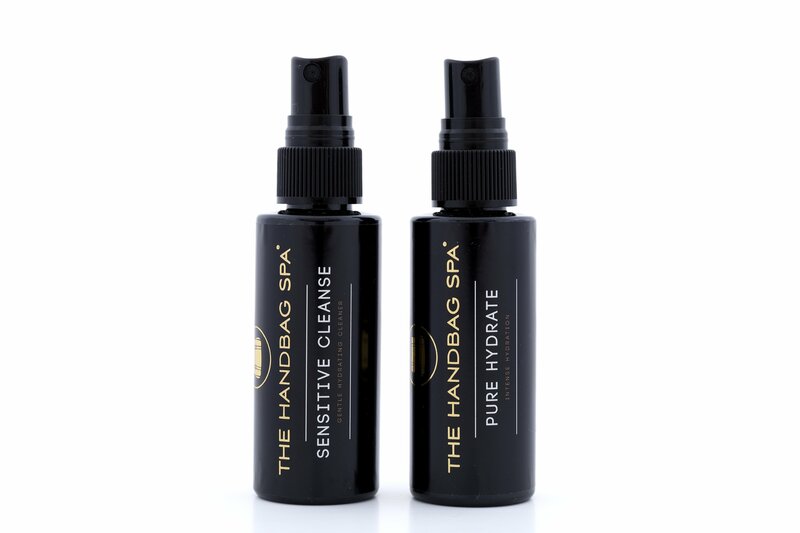 Pure Hydrate replenishes the natural oils that your handbag leather loses over time. It will give an intense hydration treatment to your bag, so if your leather is feeling a little dry then this is the perfect product for you! Not for use on: Suede, Nubuck, Fabric. See individual products for How To Use instructions.